Hark! now I hear them, – ding dong bell. All the musical ideas for this brass quintet derive from my setting of Ariel’s song “Full Fathom Five’ originally composed for the 1978 Royal Shakespeare Company’s production of The Tempest. The piece begins with a brief hint of the melody on solo horn and first trumpet, which leads to a tightly argued, slightly jazzy Allegro in seven-eight time. The second movement is more serious, and develops the song’s melody and the implication of the lyric, with its images of death, drowning and the tolling of lugubrious bells. The finale, which uses small elements of the melody both as ostinati and thematic material, is developed in rondo form, climaxing with a broad chorale-like treatment of the tune. The work is affectionately dedicated to Fine Arts Brass, which commissioned the work with funds provided by West Midlands Arts and gave the first performance at the Malvern Festival on 25th May 1987. 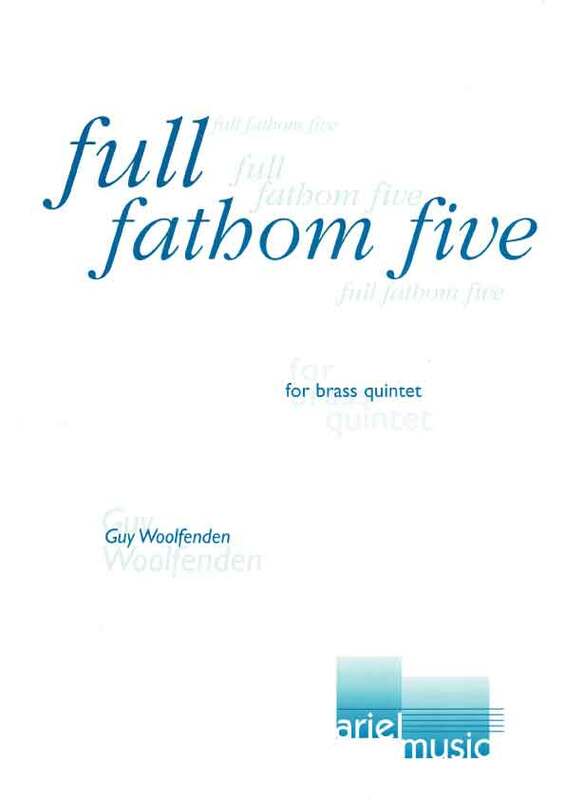 The material used for this quintet, written for the Fine Arts Brass Ensemble, is derived from music by the composer for a production of The Tempest by the Royal Shakespeare Company. The three movements – a three-bar Andante into an Allegro moderato, an Andante con moto and an Allegro finale –are quite short, interesting and not over-difficult. To create a really convincing performance much attention should be paid to the well-graded dynamic marks. The work is timed for eight minutes and is a welcome addition to the quintet repertoire.